2016/17 Merriam school spirit wear is here! 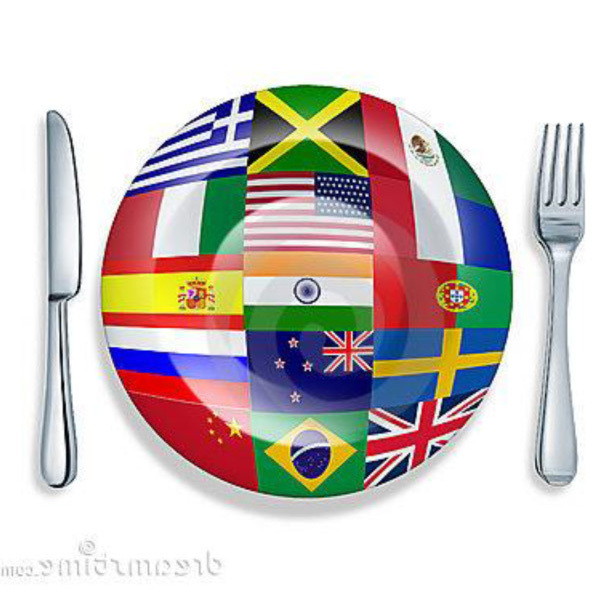 Come Join us for an International Potluck! (NEW!) 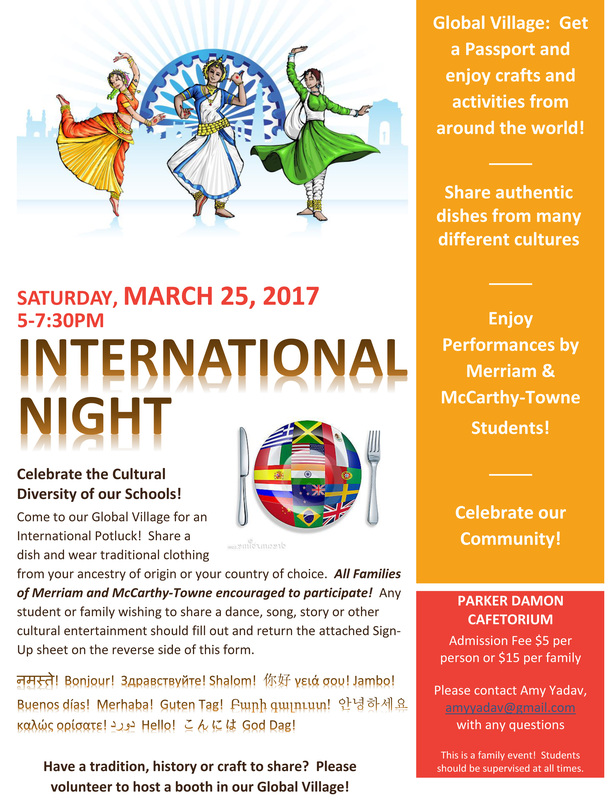 International Night Potluck Saturday, March 25th 5-7:30 p.m.
​ It also speeds along the entry and helps us set up enough tables. THIS IS YOUR FINAL OPPORTUNITY THIS YEAR!! “Merriam Dines Out at Not Your Average Joes” is BACK! The Merriam PTO needs to raise $95,000 per year to support having in classroom assistants for 18 hours per week. Please help us keep classroom assistants in every classroom. Acton Cleanup Week 2019 - Join us for Acton Cleanup Week 2019 - April 27-May5th - look for details at actoncleanup.info! Announcing the Merriam Fun Run/Walk Fundraiser! 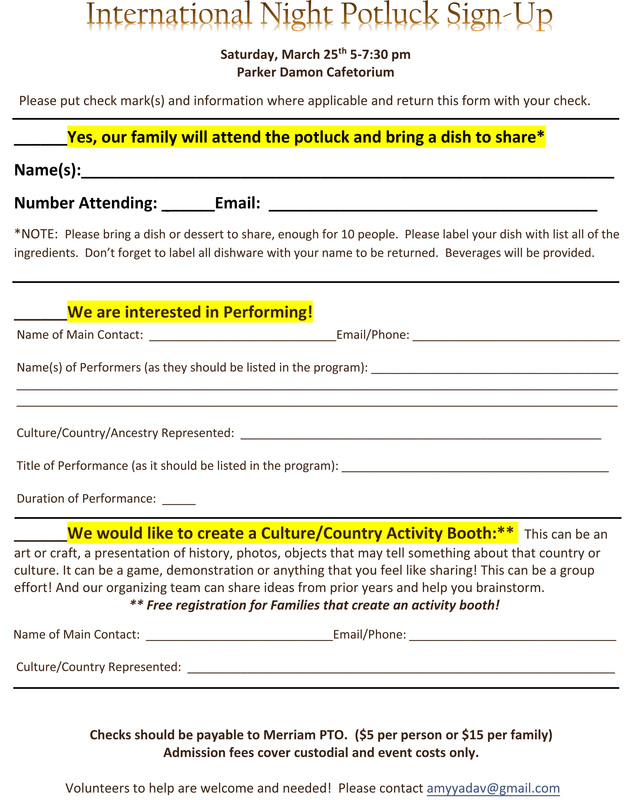 Save the Dates, and Volunteers Needed! Thanks, and looking ahead to next year from the International Night Team. Can you lend support to this beloved Merriam Tradition? Help Beautify…the Merriam & Parker Damon Building Grounds! – Volunteers needed!